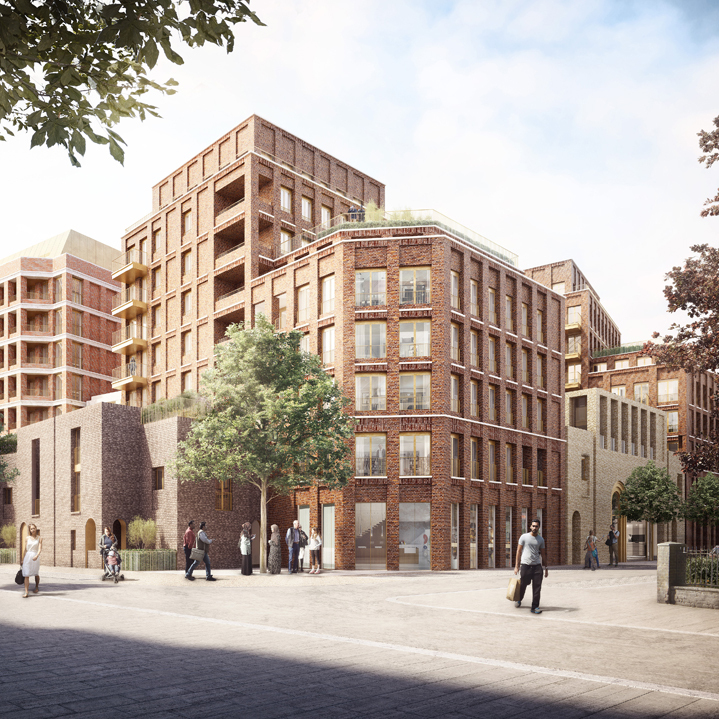 Whitechapel Square is a project, for Sainsbury’s Property Investments (SPI), that seeks to fulfil the ambitions of Tower Hamlets ‘Whitechapel Vision’ by regenerating the site of an existing supermarket into a major mixed use scheme centred around a series of new public squares. 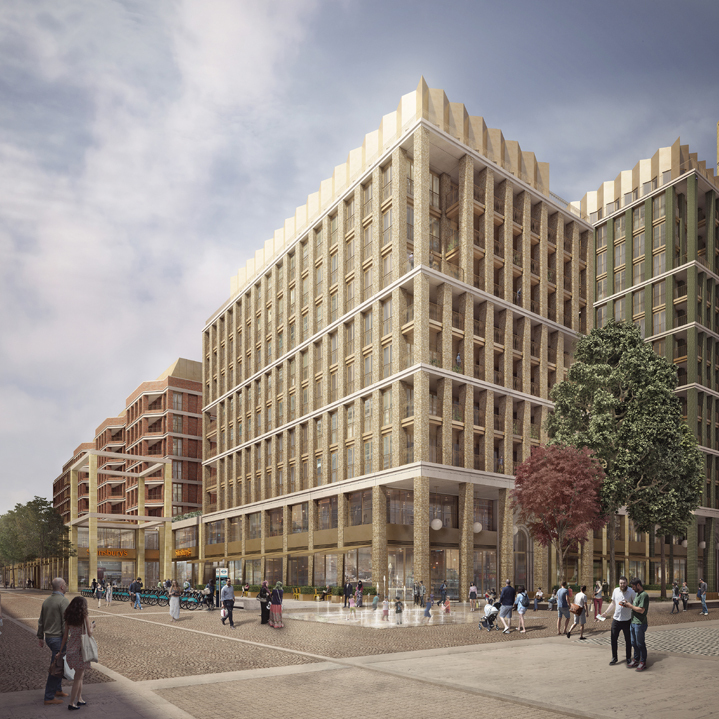 The proposals, submitted in March 2015 include retail, cafes, restaurants, education facilities, and over 550 mixed tenure homes. 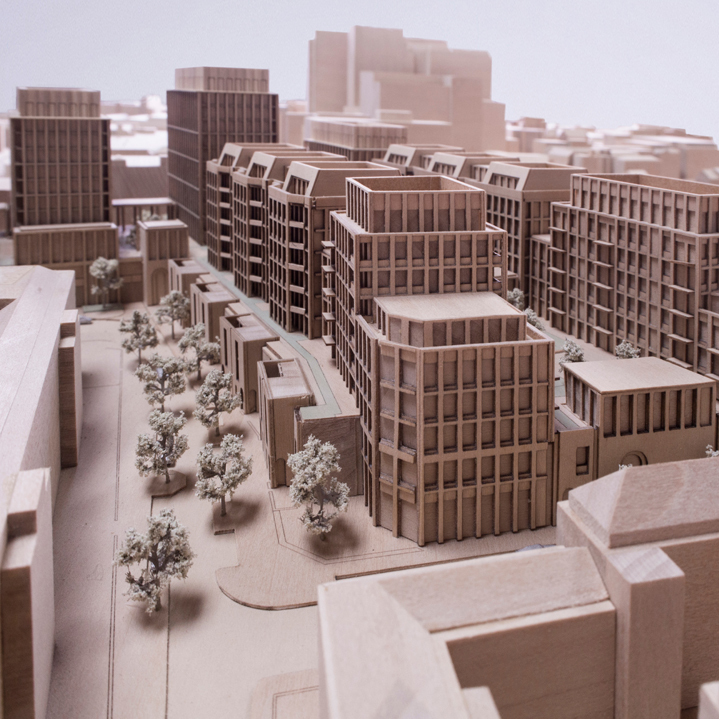 Over a third of the development area has been designed to create a series of spaces that draw on historic street patterns and emerging desire lines to form new places and connections whilst defining new settings to the historic and contemporary neighbouring buildings. 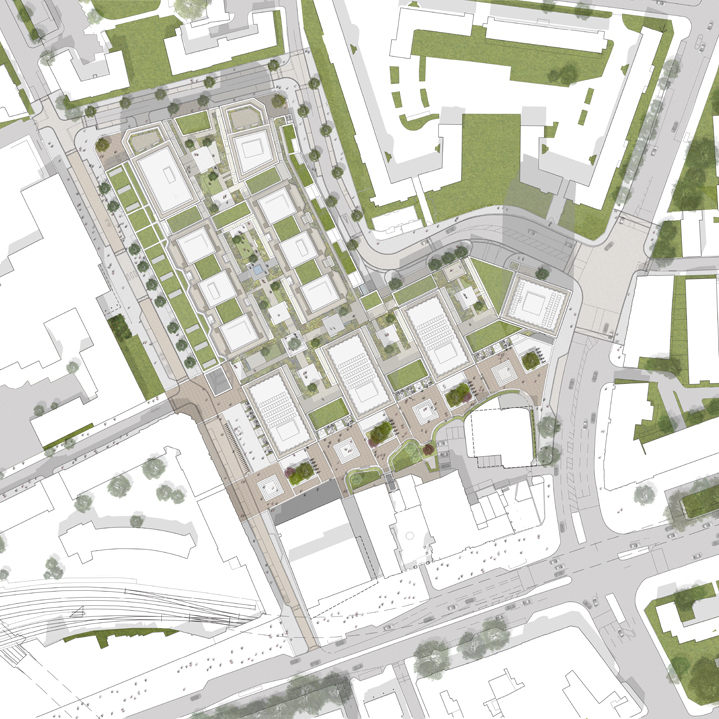 Around the public realm we have broken the scheme down into seventeen different buildings. 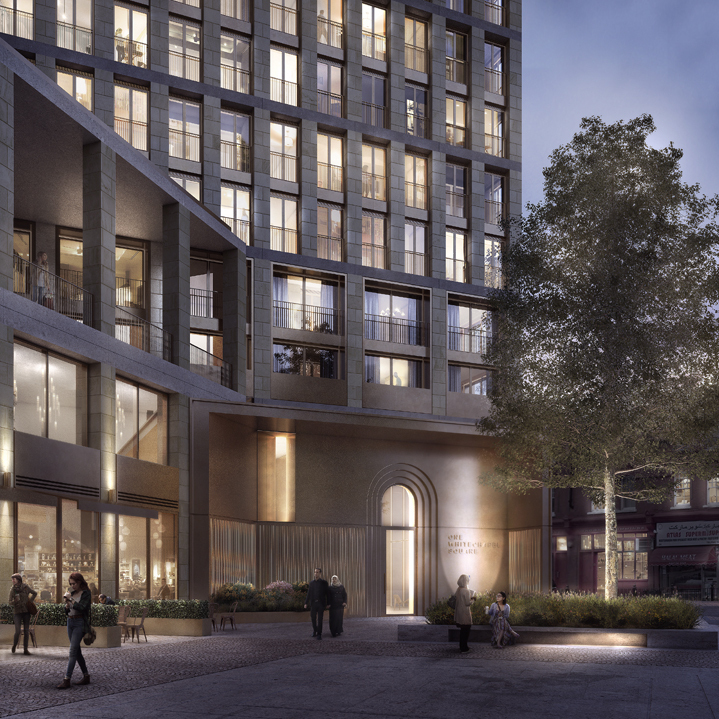 A landmark residential tower draws on the typology of the campanile referencing Whitechapel’s historic bell foundry, as well as the terracotta materiality of the Whitechapel Gallery. 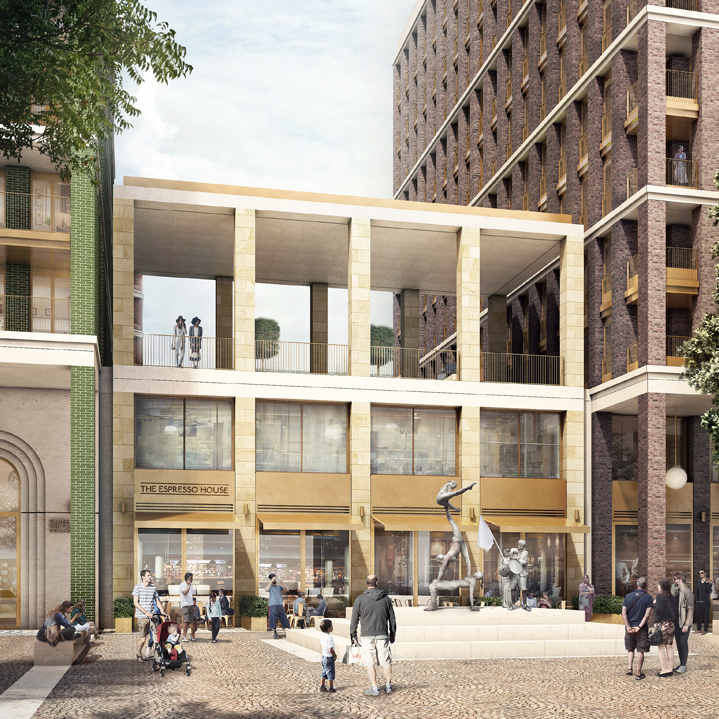 Three ‘palazzo buildings’ form a backdrop to a new tree-lined avenue; each re-interprets the rational openings, brickwork and stone banding of the listed Albion Yard Brewery buildings, whilst their crenelated crowns are an abstraction of the brewery’s clock tower pediment. Six ‘mansion blocks’ form a central quadrant, that plays of the formal symmetry of such buildings within the local area. 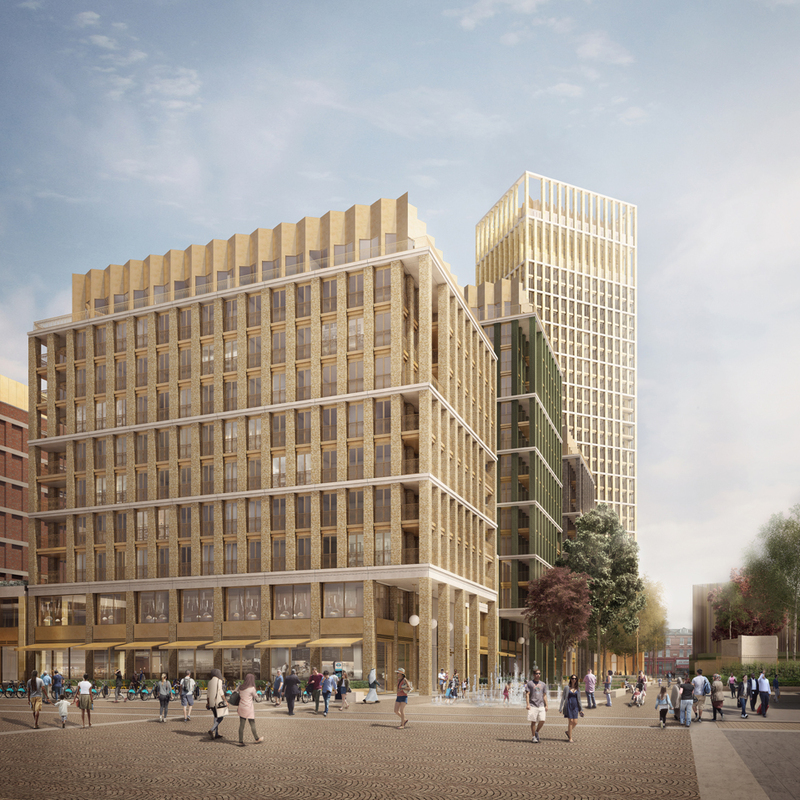 Two ‘warehouse’ buildings drop down in height to register the lower scale of the existing context, their chamfered elevations echoing the articulation of local corner buildings. The composition of built form is completed by a series of townhouses that are based on the simple expression of terraced houses that once existed on the site.